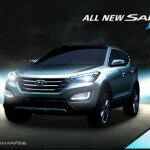 The all-new Hyundai Santa Fe 2013 (Model Year) breaks cover! 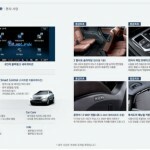 Thanks to Hyundai fans and enthusiasts living in South Korea, the home land of Hyundai Motor Company, we are bringing you exclusive photos of the 2013 Hyundai Santa Fe brochure! 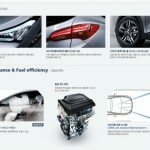 The leaked brochure, which hit the web today, provides us with the very first good look at the next-generation Hyundai Santa Fe CUV styling details and highlights some of the vehicle’s most notable features. Salted to make its worldwide debut at the forthcoming New York Auto Show, the all-new Santa Fe CUV embodies a modern design called “Storm Edge” which gives the vehicle a strong and dynamic exterior appearance. 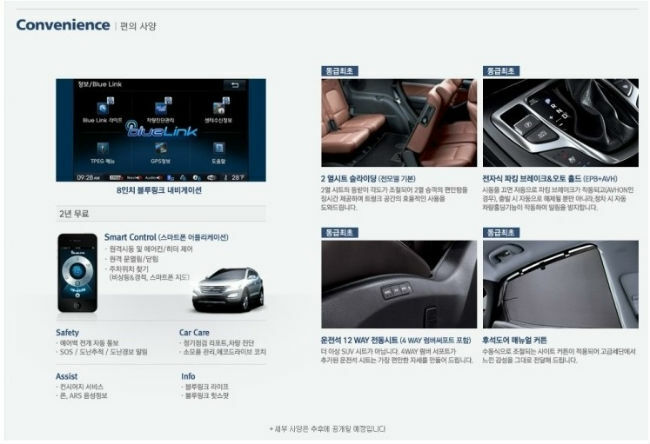 Completing the stylish exterior layout of the 2013 Hyundai Santa Fe are advanced safety and luxury features, such as knee airbag, lane departure warning system, smart parking assist system, Blue Link infotainment system and many others. 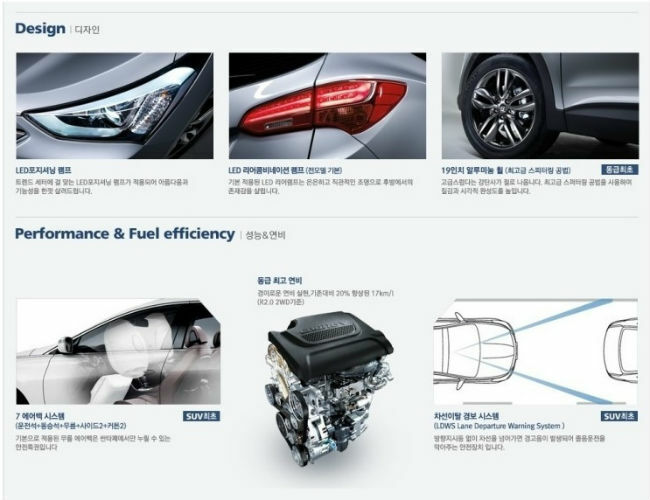 Apparently, the Korean-market Santa Fe crossover also features a revised 2.0L diesel engine, which achieves 17 km/l (or approximately 5.88 L/100km). 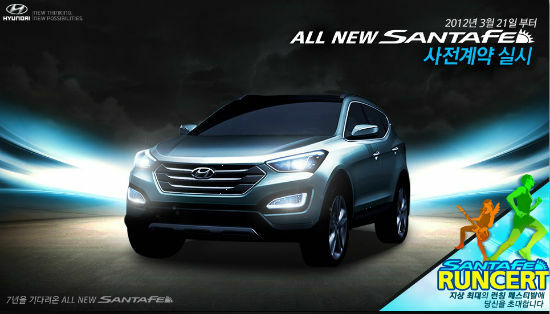 Stay tuned for more 2013 Santa Fe news and information coming out soon as we are closing on its official worldwide debut!